"We are excited to add Bell 429s to our flight training fleet," said Hareb Thani Al Dhaheri, CEO, EDIC Horizon International Flight Academy. 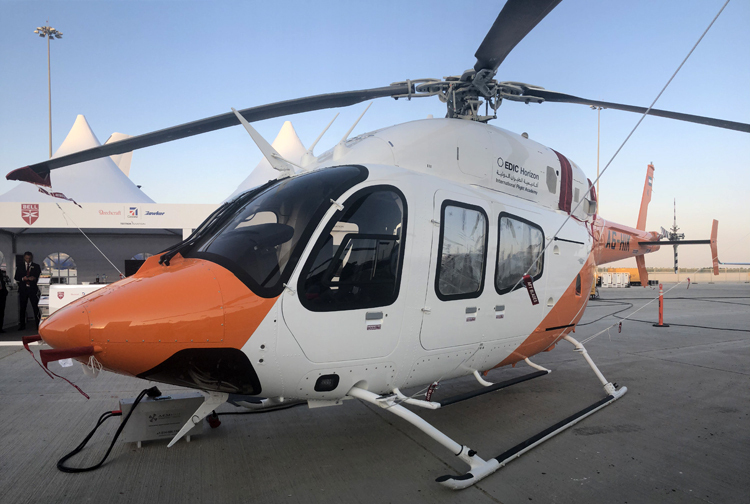 "Bell helicopters have been an essential part of our training operations since our inception and the new aircraft will enable us to further expand our training offering." "The EDIC Horizon International Flight Academy sets the bar for excellent training in the region," said Sameer Rehman, Bell Managing Director, Africa and Middle East. 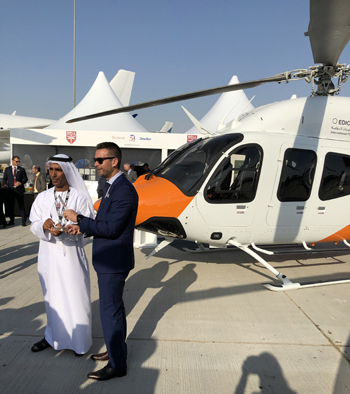 "This celebration is a key milestone for Bell as it demonstrates the traction the Bell 429 has gained in the Middle East. There are now 332 Bell 429 aircraft in operation around the world, exceeding 330 000 hours of operation on the global fleet." With the lowest vibrations in its class, the Bell 429 meets or exceeds today's airworthiness requirements to enhance occupant safety, with the adaptability to remain at the forefront as mission needs evolve. The use of metallic and composite parts in its construction creates the perfect balance between rigidity, flexibility and durability. An advanced avionics and systems monitoring suite ensures outstanding maintainability and aircraft readiness.